Korean scientists have discovered the role of a hormone that could help develop medicines to treat and cure diabetes and obesity-associated diseases. 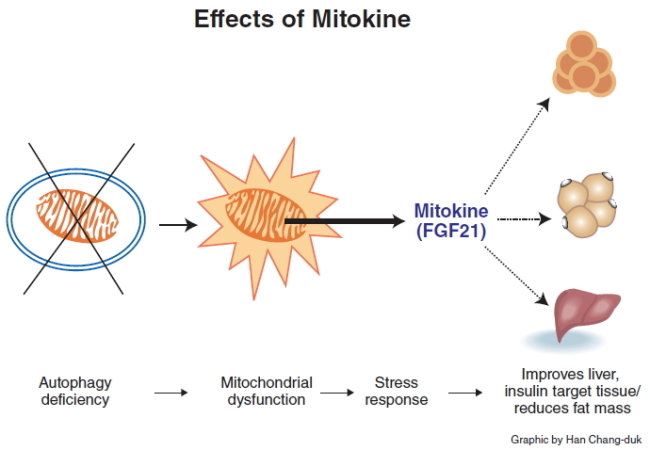 Dr. Lee Myung-sik of Samsung Medical Center, who is also a professor at Sungkyunkwan University School of Medicine, led a study into “mitokine” signals, which are sent by cells having trouble with their metabolism. They identified that the signal involved a hormone, encoded as the fibroblast growth factor 21, or FGF21. The hormone is induced by mitochondria, which generate energy for cells. Yuan Zhang, a postdoctoral fellow at the University of Texas Southwestern Medical Center Department of Pharmacology, called FGF21 the “starvation hormone” in an Oct. 15 report, saying that it boosts the lifespan of laboratory mice and increases insulin sensitivity. Lee’s team showed that mitochondrial dysfunction in lab mice caused by deficiency in autophagy, a process in which unnecessary cellular components are broken down for energy, promotes FGF21. This goes against the previous hypothesis that deficiency in autophagy could lead to insulin resistance and diabetes. Lee said modulation of genes related to autophagy could hold the key to curing patients and preventing obesity-associated diseases. The study also showed that the mice subjected to mitokine induction had a significant reduction in fat mass and insulin resistance, which along with low insulin leads to diabetes. Adipose, or body fat, tissues come in two forms: brown and white. The brown form has beneficial effects on glucose tolerance, body weight and metabolism, according to studies by scientists of Joslin Diabetes Center, an affiliate of Harvard Medical School in the U.S.
“Unlike the more prevalent white adipose tissue which stores fat, BAT (brown fat tissue) burns to produce heat. Studies in mice and humans have suggested that BAT also plays a role in regulating body weight and metabolism,” Joslin Diabetes Center said in a press release on its website on Dec. 10. If the test results prove applicable to humans, it could have significant implications for medicine. Some 3.2 million Koreans suffered from diabetes as of the end of 2010, with the number expected to exceed 5 million in 2030 and reach 6 million by 2050 as society ages, the Korean Diabetes Association predicted. About 10 percent of the Korean population suffers from diabetes, including those in a pre-diabetes state from impaired glucose tolerance, according to the Ministry of Education, Science and Technology. 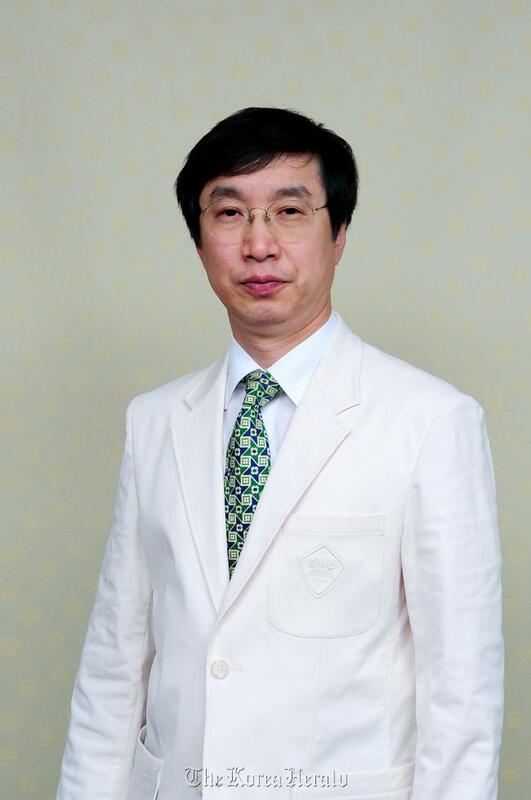 Lee said that he hoped the latest discovery would change the medical treatment paradigm, and plans to further his research to develop new medicines to “fundamentally” cure patients with diabetes.